The weather outside is frightful… At least it was last weekend, when I flew into Denver from the UK. Since then, we have been graced with beautiful, sunny days, however cold they maybe. I don’t mind the cold so much, especially during the holiday season. 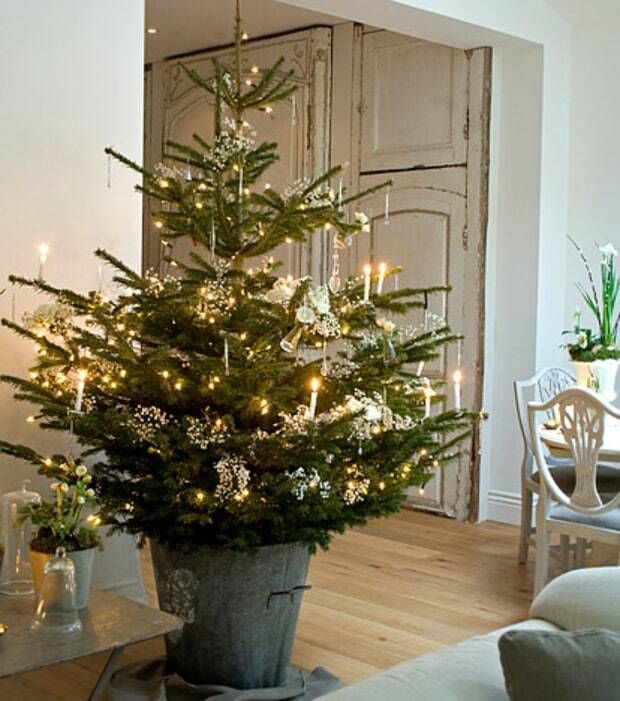 The indoors are much more enticing with the fireplace going, mulled wine and of course, a sparkling Christmas tree. 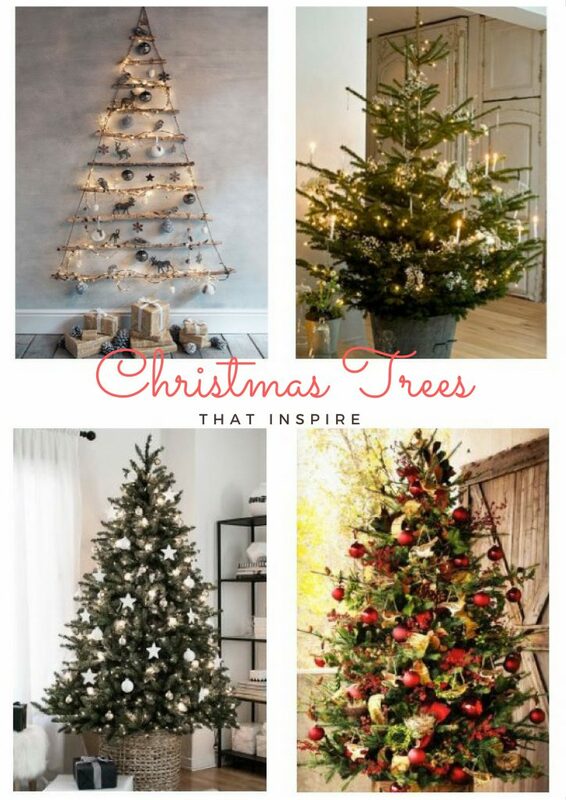 The forecast, at the moment, doesn’t promise a white Christmas, but these cozy trees will certainly help us feel festive! 1. The Minimalist – Here is a tree for the “simple in taste”, or even the “little in space”. 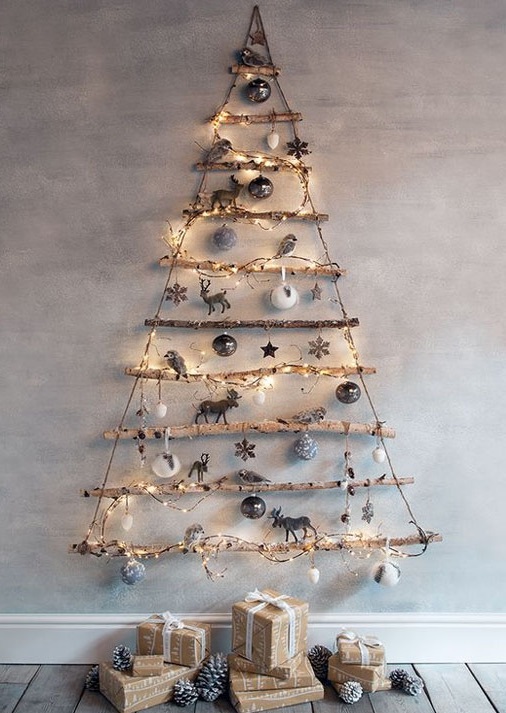 I love the natural wood elements, the little animal ornaments and the pretty lights. This is such a great idea for people with not a lot of space! 2. Berry Goodness – The red theme to the tree brings to mind cranberries and holly – two essential elements for the festive season. 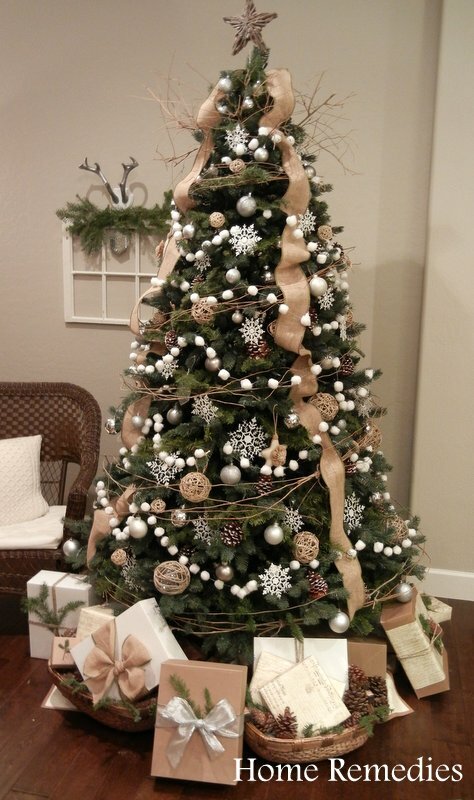 I like the addition of the little bird ornaments and the extra touch of having a few bird’s nests. You can almost hear them chirping away! 3. Scandinavian Starry Night – The gold and cream theme is really classy and elegant. 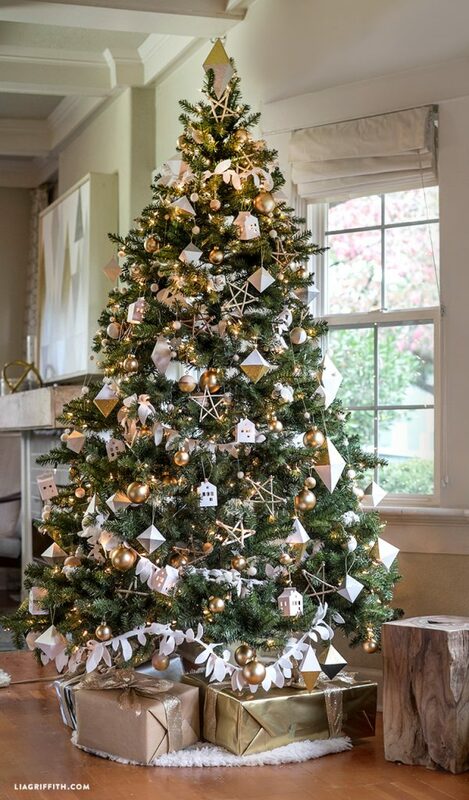 I love the simple garlands and the alternative diamond tree topper. 4. 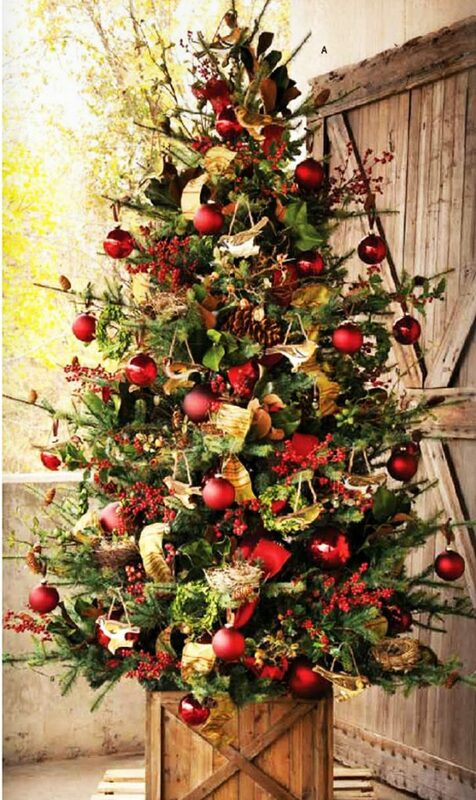 Rustic Simplicity – I love how this tree looks like it belongs in the house all year long. I would love to have more large, potted plants in my flat. 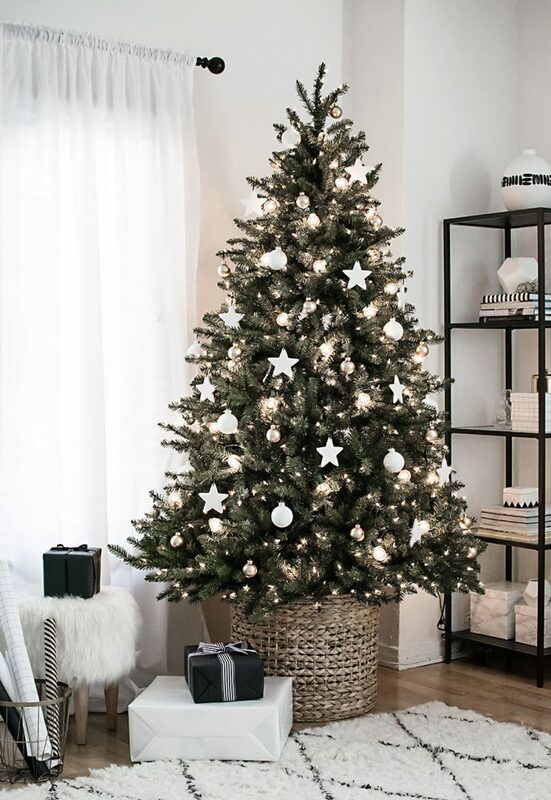 With a few simple elements, such as candles and some lights, this tree can transform into something festive just in time for the season yet also serve as an amazing decoration the rest of the year! 5. Cozy Cotton – I’m a massive fan of the burlap, cotton and twig garlands. This tree is a show stopper with it’s very natural elements. Rustic decorations are so functional with any kind of style. The tutorial for the cotton garland is in the link above! Favorite is number 5!! But you probably alteady knew it, you know my style!